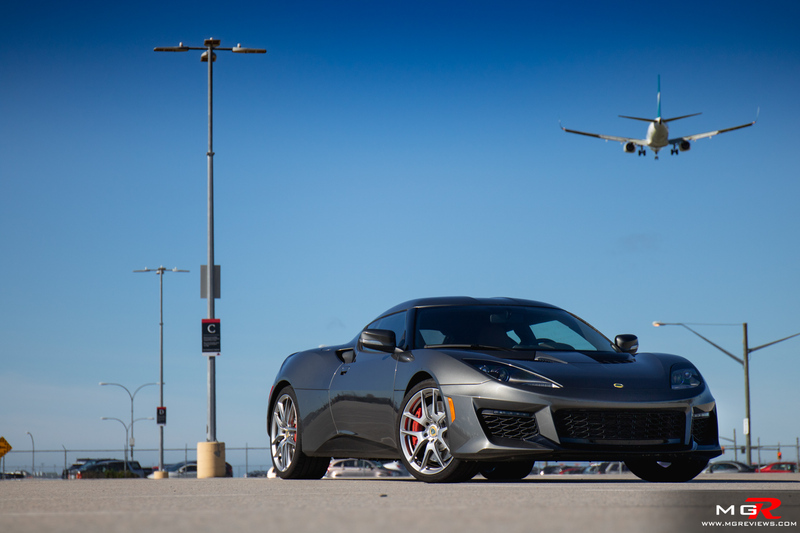 When the Lotus Evora was first introduced, it felt as though it didn’t live up to the company’s mantra of building lightweight sports cars. 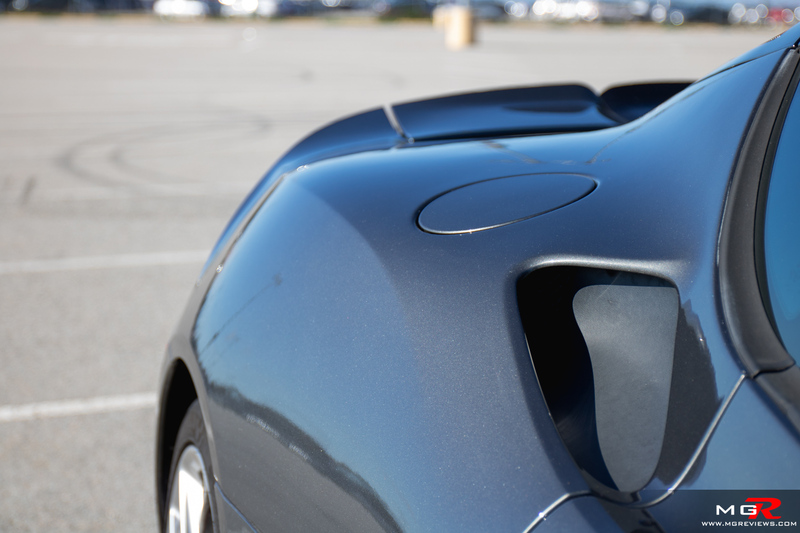 It was meant to be a more comfortable, everyday car rather than the track heroes that the Elise and Exige are. 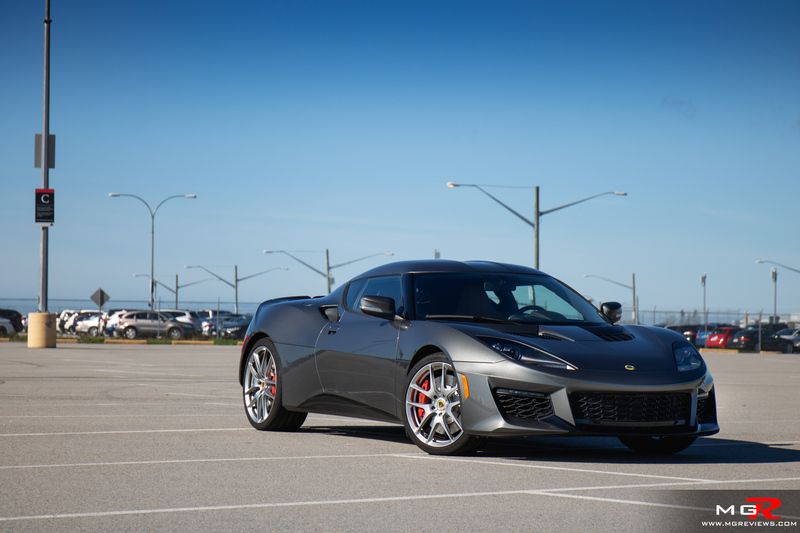 So is the Evora the slightly chubby brother in the family or can it still handle its own? 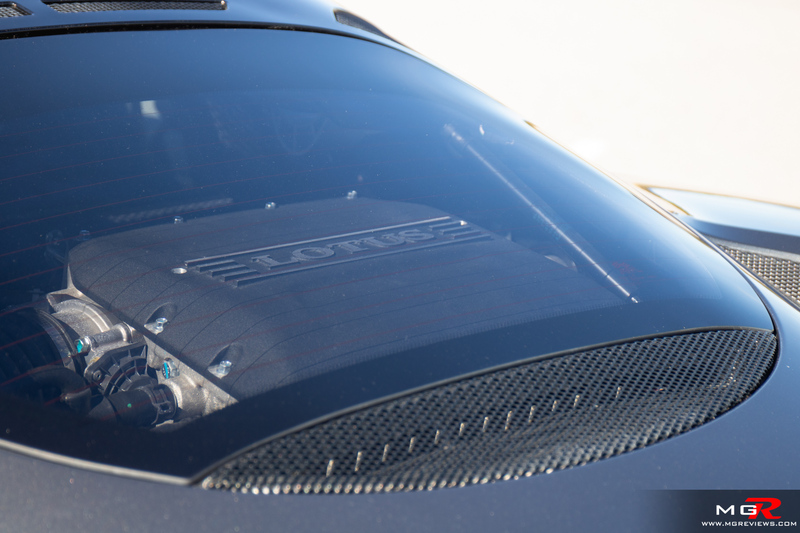 The 400 in the name refers to the horsepower as it usually does on most sports cars these days. 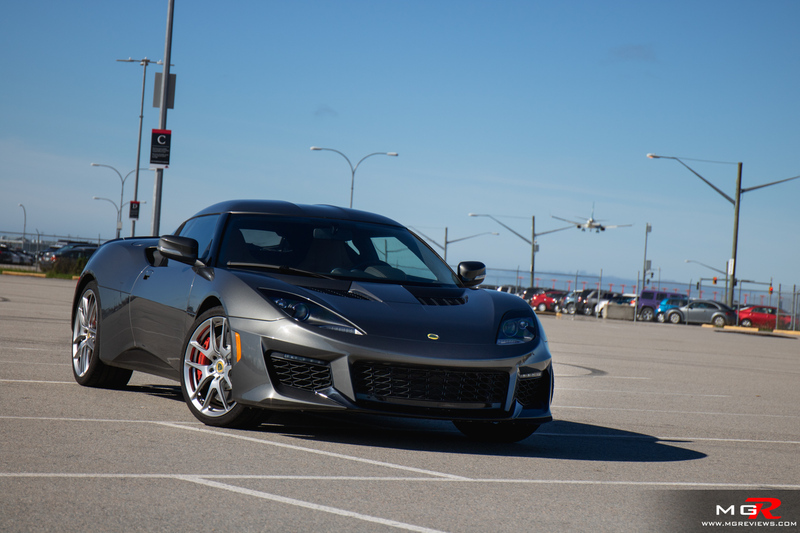 The power comes from a 3.5L V6 that is sourced from Toyota which Lotus then slaps on an Edelbrock supercharger to it. 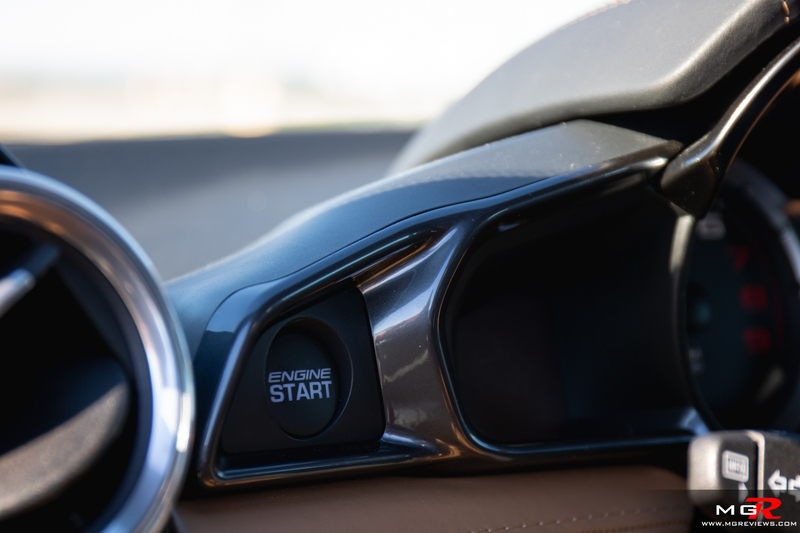 Because it is supercharged, engine response is immediate and there is no waiting around for boost to build as is the case with turbocharged engines. 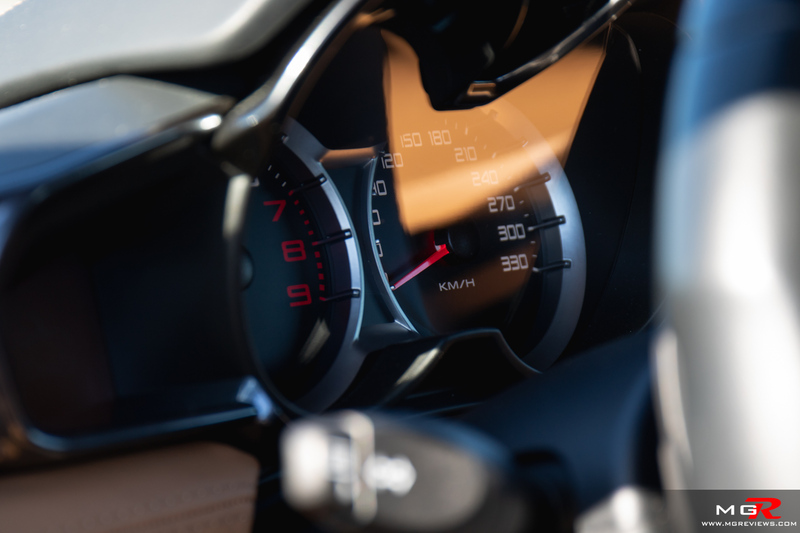 Peak torque though is a bit on the low side at just 302 lb-ft but you still get that punch in the backside as it comes in at around 3,500 rpms. 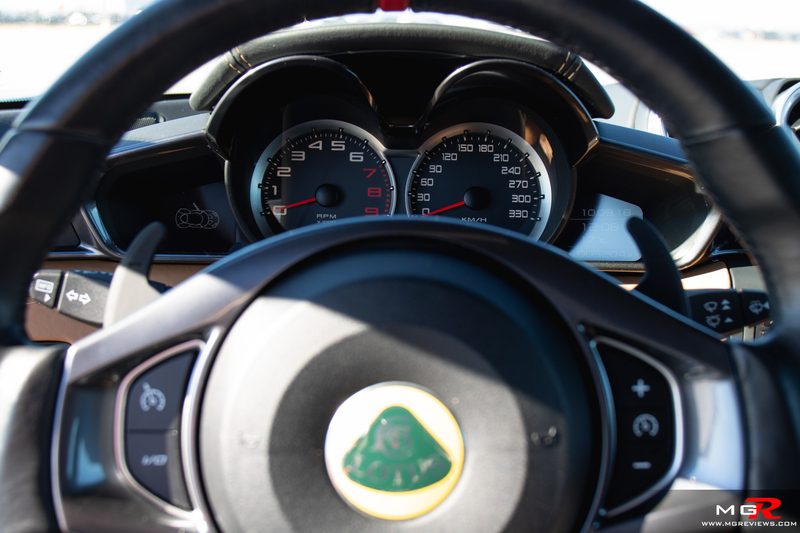 The industry standard test of 0-60 mph (97 km/h) gets done in 4.1 seconds which is nearly on par with the current generation Exige. Not bad for a car tipping the scales at 1,395 kg. It’s also a fairly economical engine with a mostly city fuel consumption of 11.3 L/100km during my drive of the car. 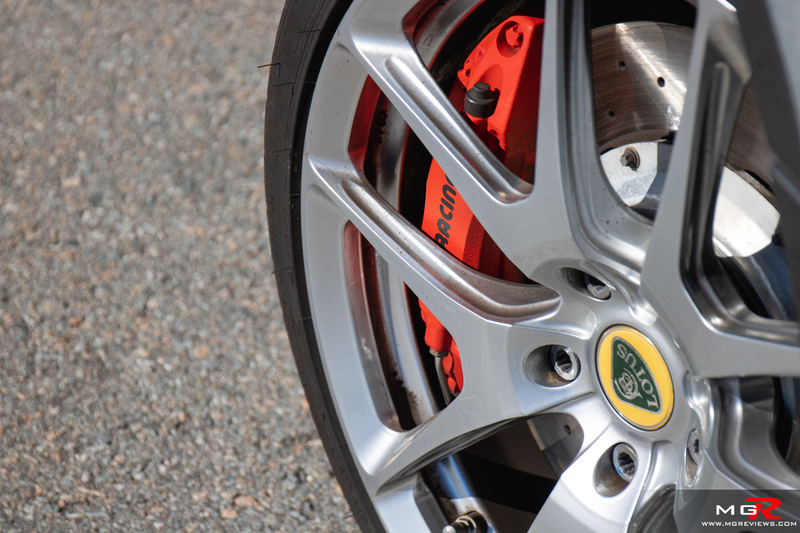 The really impressive aspect of the Lotus Evora 400, however, is how it tackles corners. Look at where you want to go, turn the steering wheel in that direction, and the nose of the car is already pointing in that direction. 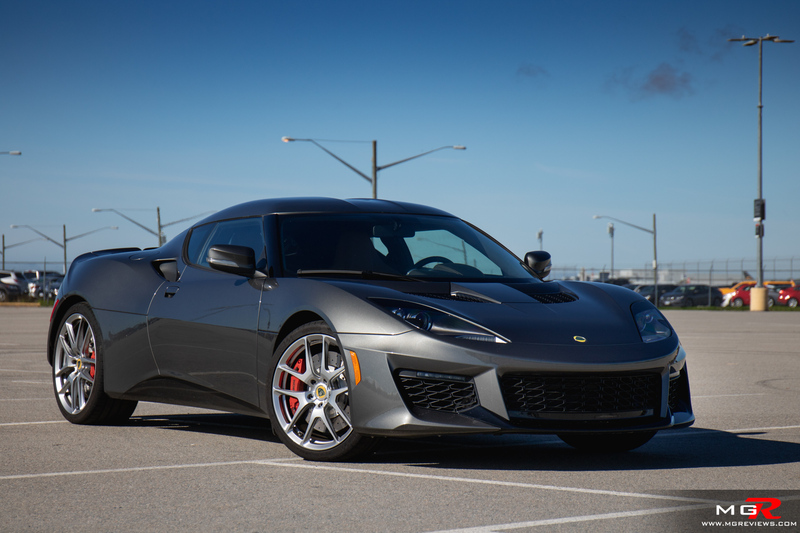 Changing directions (in what feels like an instant) has always been the best attribute of all Lotus cars and the Evora is no exception. 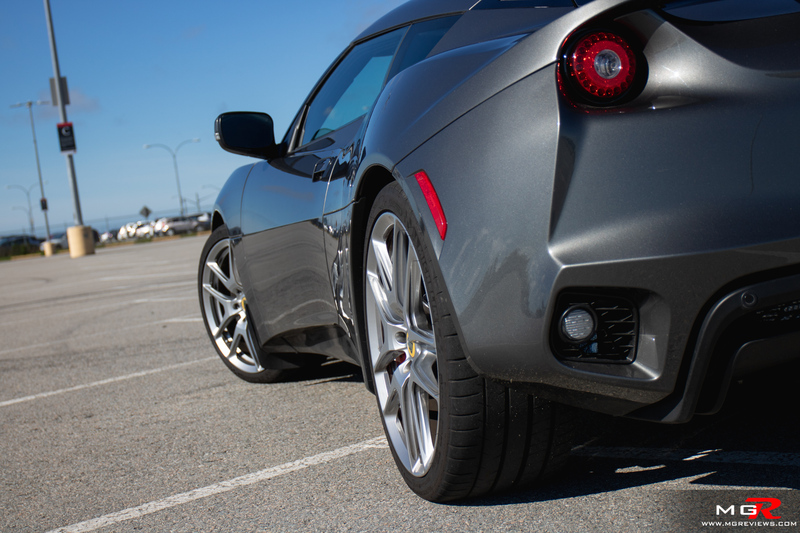 The steering also provides good feedback as to what the front tires are doing which unfortunately is a trait that is missing from a lot of other sports cars these days due to electro-assisted power steering racks. Going through a mountain pass in this car is a joyous experience because the car makes you feel very involved with the drive. 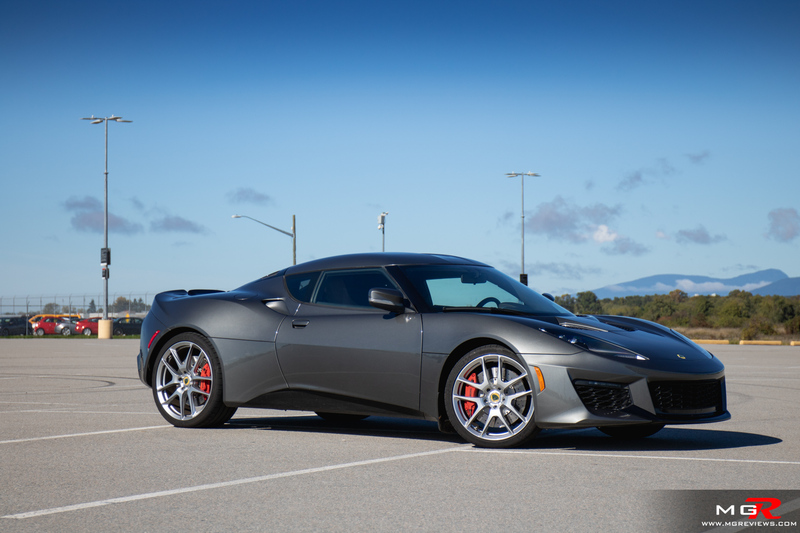 A 6-speed manual transmission is standard but this particular Evora 400 has the optional 6-speed automatic. 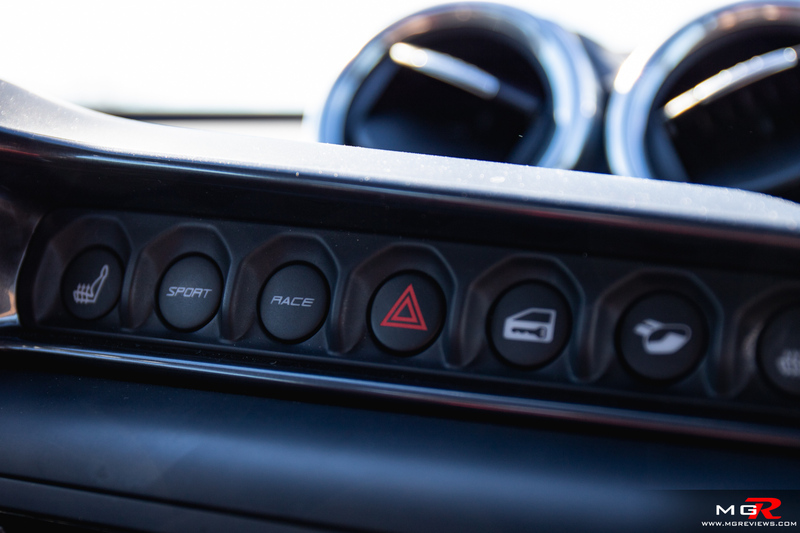 Depending on which mode you’re in (Normal, Sport, Race) shifts, throttle response, and traction control parameters change. 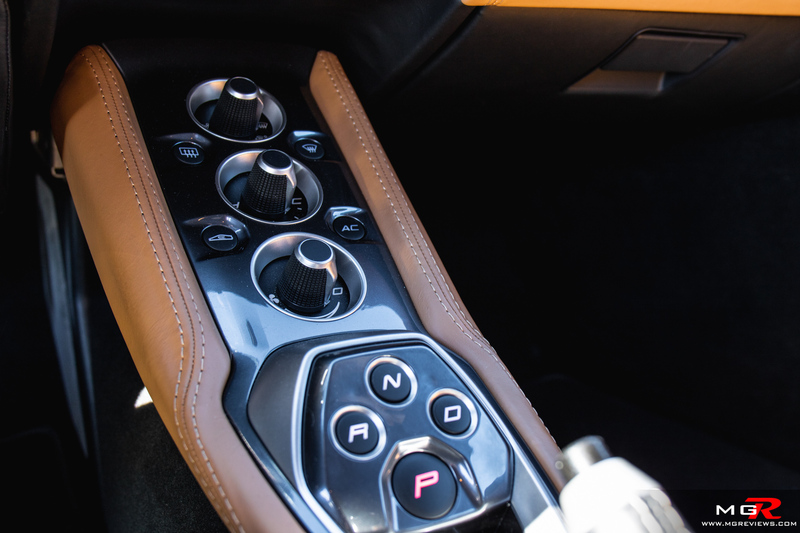 In normal driving mode the shifts are at their slowest but also the smoothest. 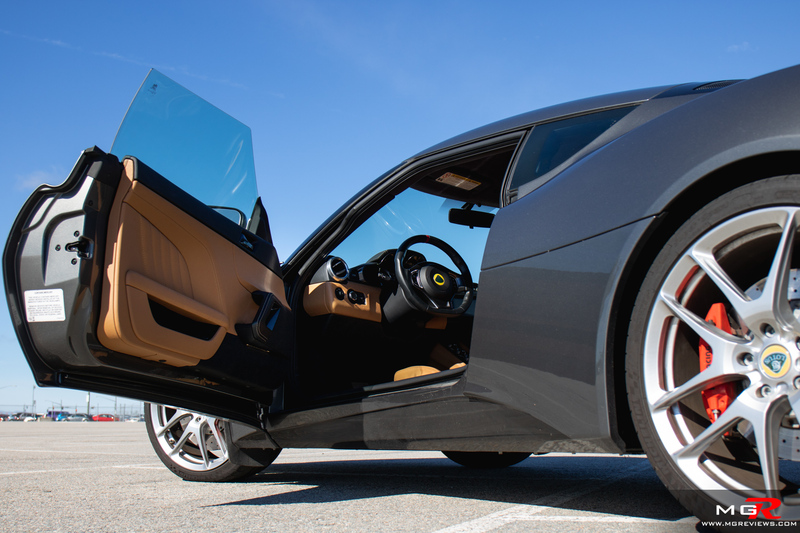 Sport and Race speed up shifts but at the expense of smoothness. 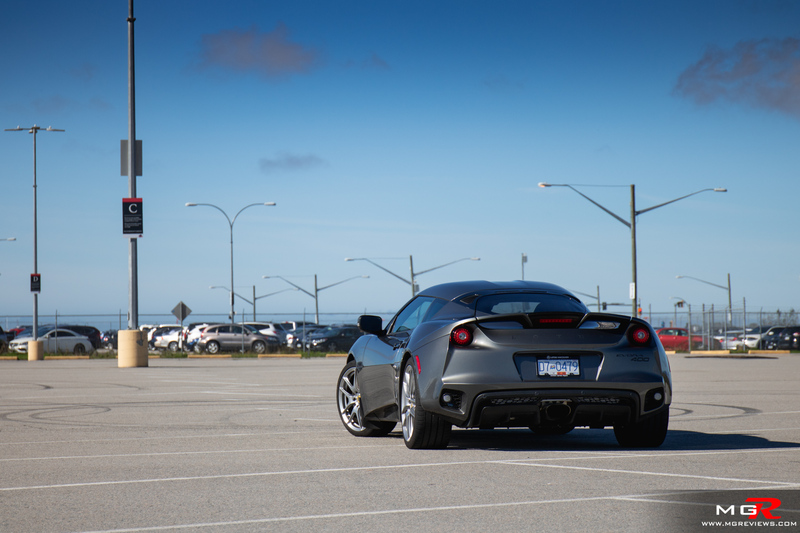 Regardless though of which mode you’re in, at slow parking lot speeds the transmission is jerky and not at all what you’d expect from a car costing the better part of $150,000 CAD. 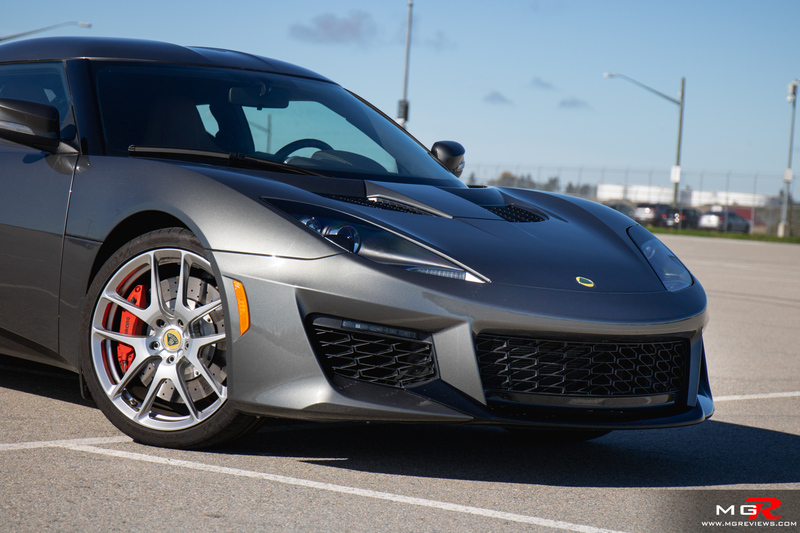 Compared to other Lotus cars, the Evora can be considered the S-class of the brand. 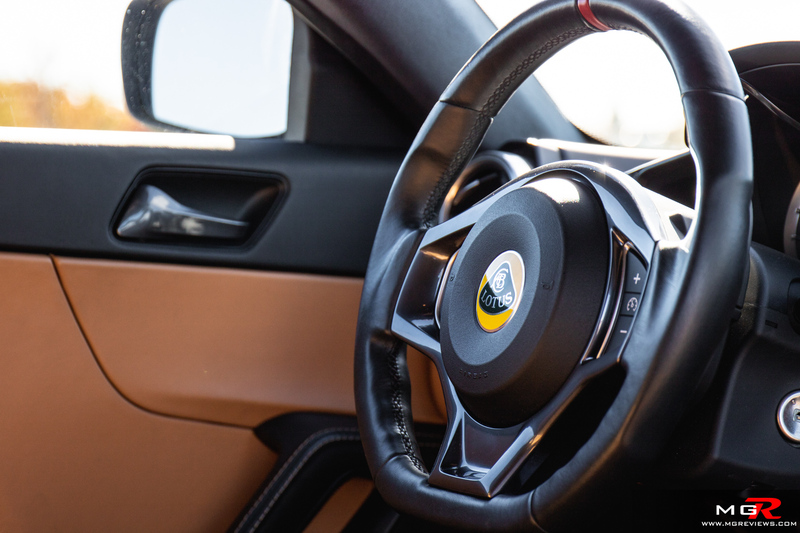 Leather seating, heated seats, air conditioning, navigation… these features were just dreams in other Lotus cars but the Lotus Evora is available with them. 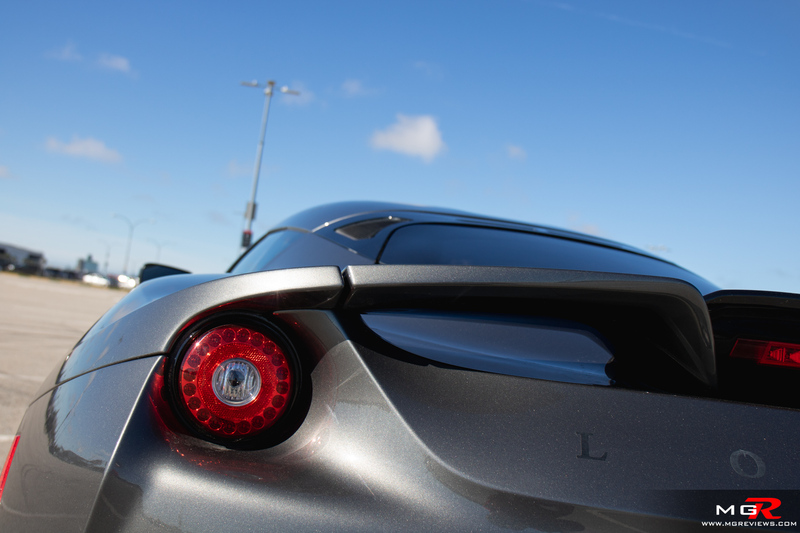 Getting in and out of the Evora is a breeze which cannot be said of other models like the Elise. 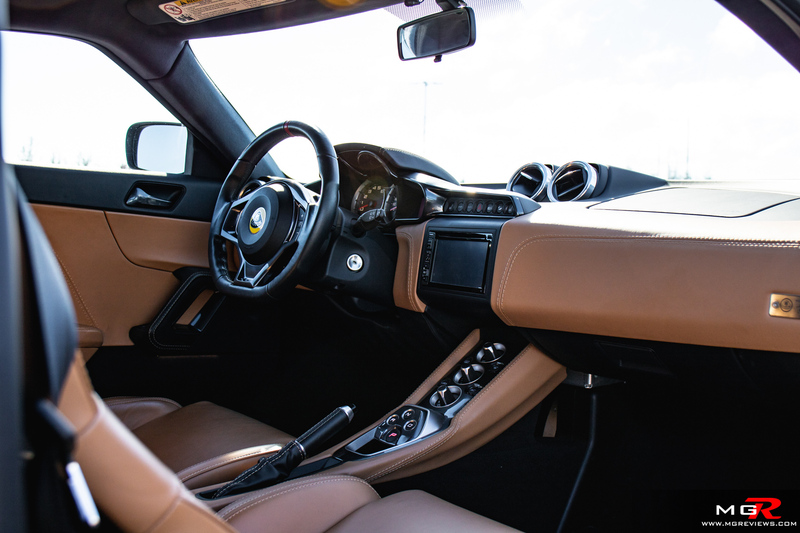 Overall it is a nice cabin to be in, just don’t draw the short end of the stick because although the Evora is available with rear seats, not even small children will fit in them. 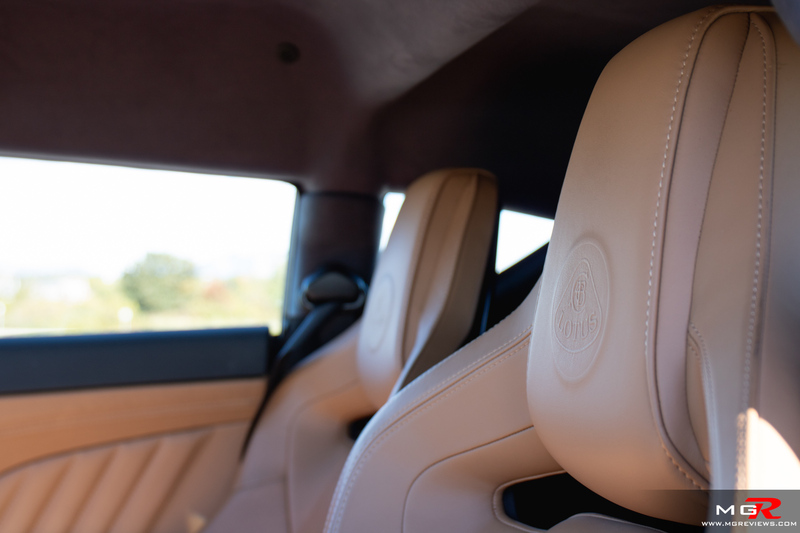 This demo vehicle did not have the rear seat option. 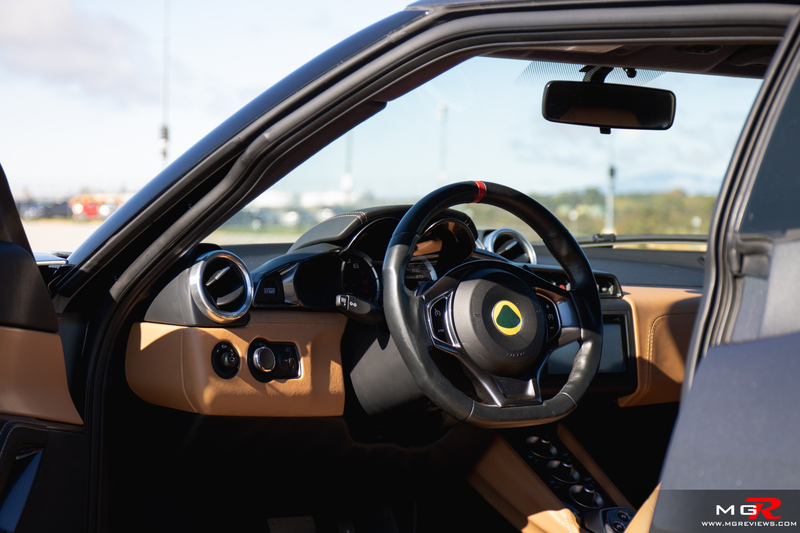 Driving around a city is also not as bad as other Lotus vehicles. The suspension is firm but not to the point of breaking your back when going over the littlest of bumps. 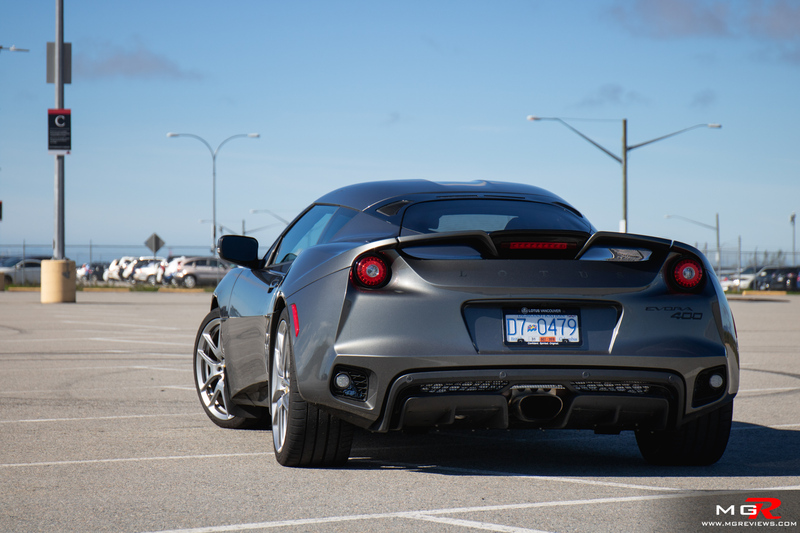 Basically you don’t have to play Minesweeper trying to avoid potholes on city streets because the suspension on the Evora 400 is supple enough to absorb bumps. Road noise inside the cabin is a bit on the loud side especially on a highway. 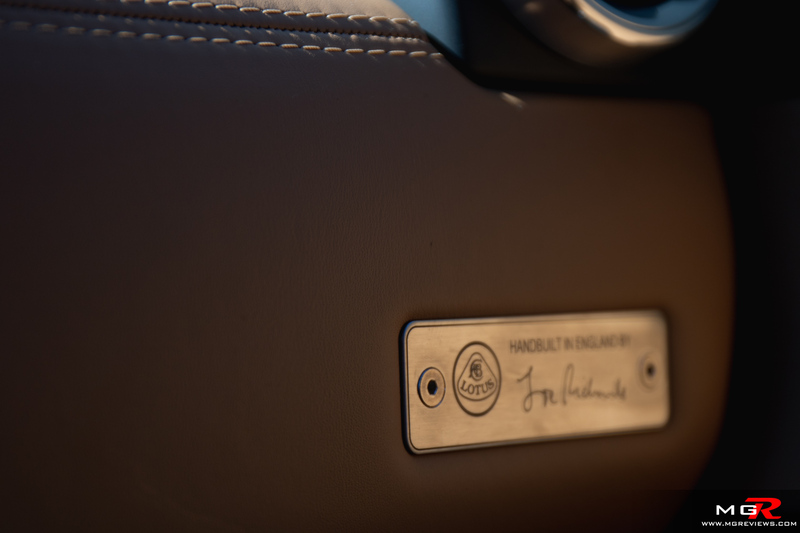 But push the active exhaust button and you have the glorious V6 noise to listen to instead. 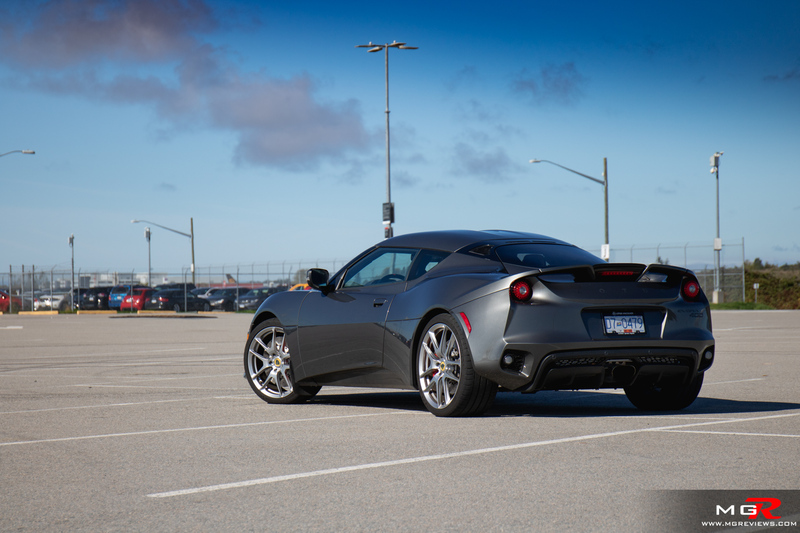 The Lotus Evora received a styling update with the 2016 model year giving it this aggressive front fascia and new rear bumper & spoiler. To my eyes it looks very good and nothing like any other vehicle on the road. 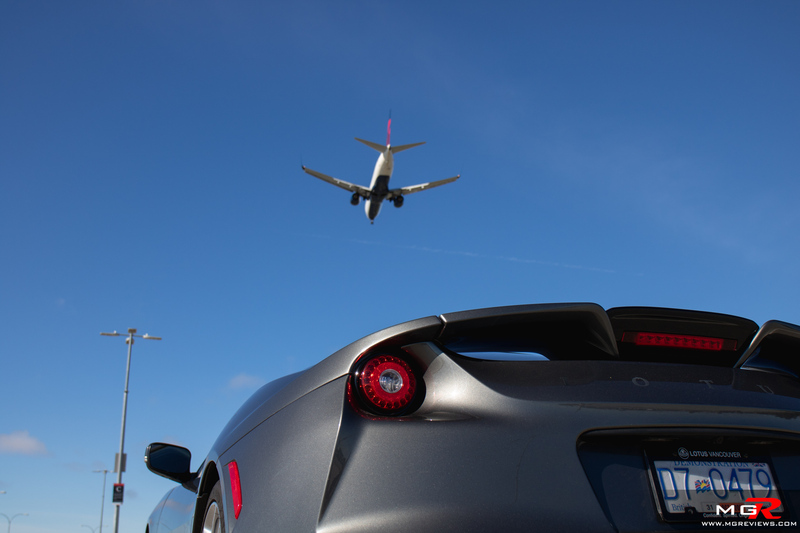 And that’s what sets Lotus cars apart from the competition. Yes it costs anywhere from $150,000 CAD to $170,000 CAD or more depending on options and there are cheaper alternatives for that money. 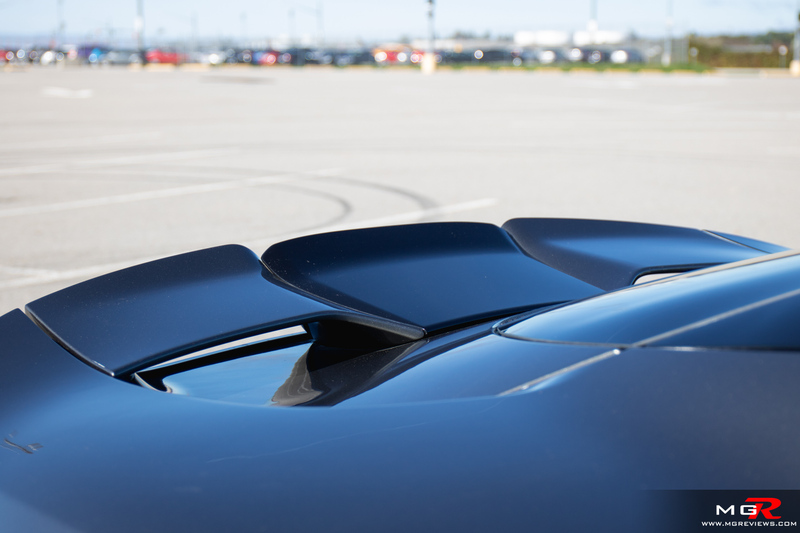 Corvette Z06 and Porsche 911 immediately spring to mind. But look at it this way. 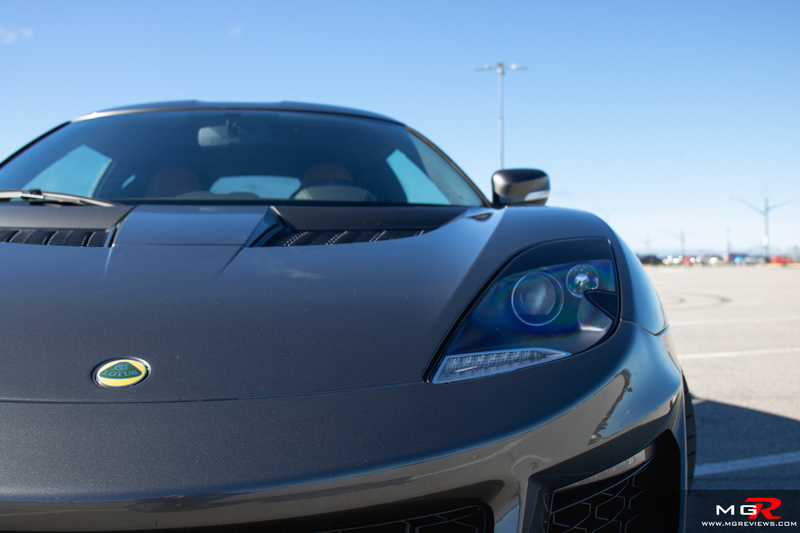 When was the last time you saw a Lotus in person?